Playing at the professional level can be a daunting but incredibly rewarding prospect. Make sure you have the equipment to excel at the highest level by getting the Donic Waldner Table Tennis Racquet. 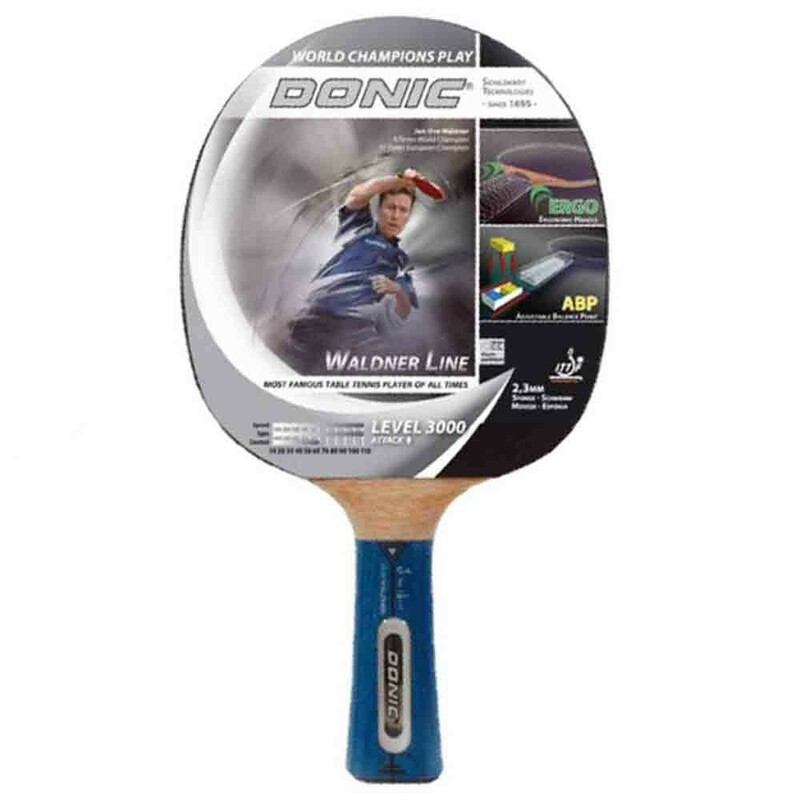 The Donic Waldner 3000 Platinum Table Tennis Bat line is a top line of rackets dedicated to Jan-Ove Waldner, the legendary DONIC player and two-time World Champion. All the rackets are especially suitable for attacking players. Most of them have additional features, such as PLS (Power Light System), AVS (Anti Vibe System), or ABP (Adjustable Balance Point). - Level 3000 attack+ racket. - Inverted Liga rubber with 2.1 mm sponge. - Carbon blade featuring ABP (Adjustable Balance Point) and Ergo Grip.